Download Free Books and References in the Right Margin "Box" on this page. Over 40 years in the Defense Industrial Complex. Veteran 2 tours US Army Vietnam. 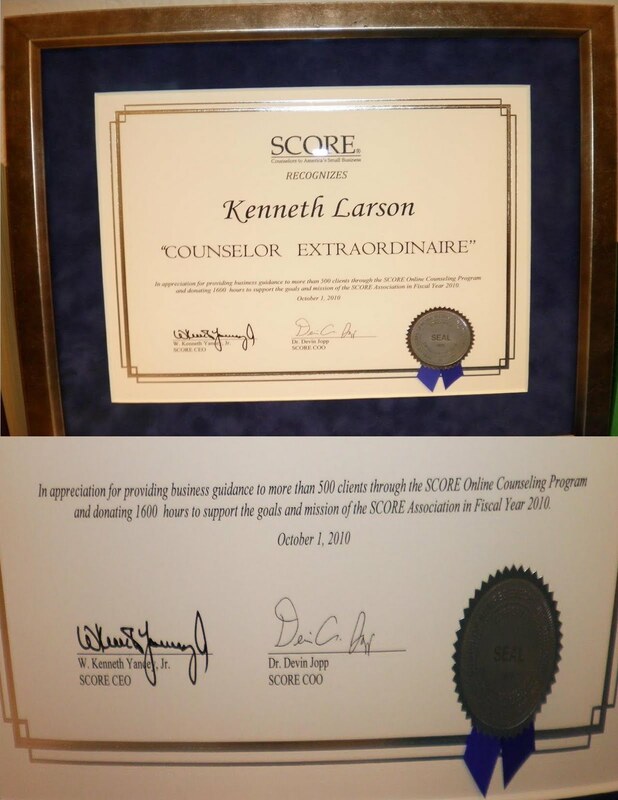 Subsequently spent over 30 years in federal government program and contract management and 10 years in small business consulting. 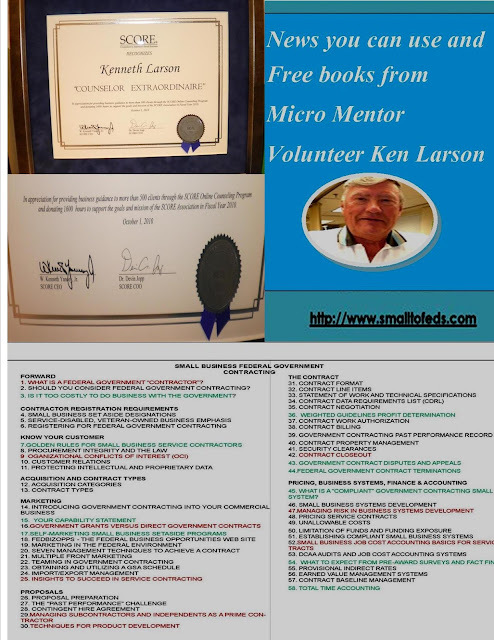 As a Micro Mentor Volunteer Counselor, Ken Larson assists many small businesses with their planning and operations processes. Receives many inquiries from small companies wishing to enter or enhance their position in federal government contracting. Volunteer time, books, articles, and resources are 100% free, maintained exclusively for small business on the above subjects.